Srinagar : Jammu and Kashmir Police said on Tuesday that three Lashkar-e-Taiba (LeT) militants were killed in a gunfight that took place in Kulgam district the day before. "The victims comprised two LeT Pakistani militants identified as Furqan and Maviya and a local terrorist, Yawar who belonged to Qazigund area. "Another local militant identified as Rashid Alia who had managed to escape with an injury on his hand, was arrested in Anantnag town where he had gone for treatment," the police said. 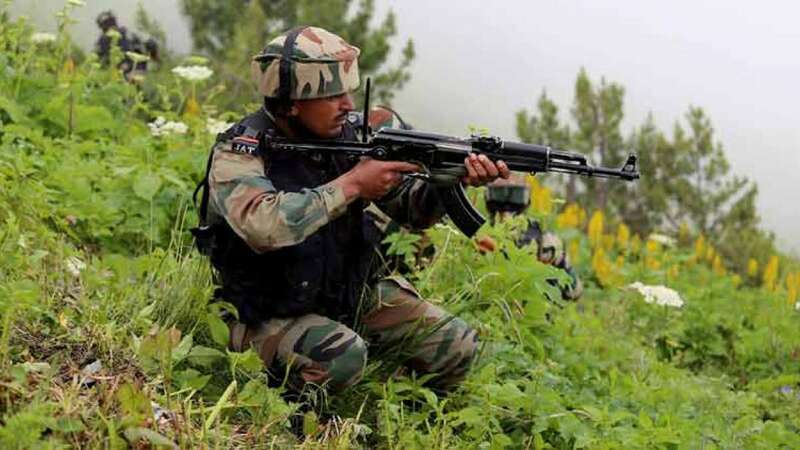 The gunfight started after militants attacked an Army patrol on the Jammu-Srinagar highway.After attacking the patrol, the militants entered a house in Bonigam village which was surrounded by the security forces. A soldier was also killed during the encounter. With the local LeT militant's killing, the LeT's Abu Ismail group who had carried out the attack on the Amarnath Yatra pilgrims on July 10, has been wiped out,the police added. Seven pilgrims were killed and 15 injured when the militants attacked a Yatra bus on the Jammu-Srinagar highway.